Anytime a celebrity is rushed to the hospital, it's common for fellow stars to take to Twitter to share their feelings on the matter. 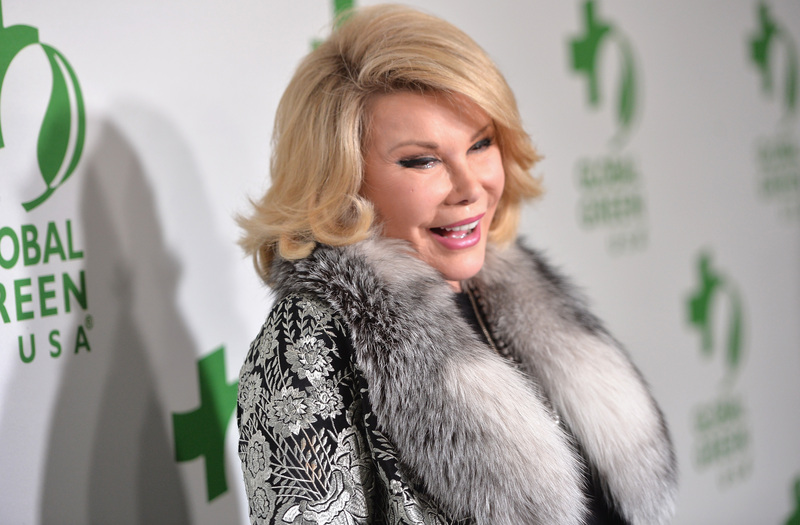 This time it was no different with the news that comedian Joan Rivers nearly died after a complication during surgery. The 81-year-old was undergoing an operation on her vocal chords when she stopped breathing and was reported to be in critical condition. Fortunately, her fellow E! network reporter Ken Baker says that Rivers is now stable. "Our own lovely living legend Joan Rivers is in stable condition at Mt Sinai hospital," the journalist tweeted. Rivers' many friends in Hollywood will be glad to know that the comedian is doing better after the scary incident. Positive thoughts poured in for the Fashion Police funny woman from her friends in fashion, television, movies, and more. She may have taken a lot of digs at celebrity style over the years, but when push comes to shove, they've got her back. It's times like these where I'm glad social media exists because it's a place for a community to come together to send well wishes, and where Rivers can see how much she means to the industry after her 50-plus year career. Get better soon, Joan! All of the entertainment industry is pulling for you.